Two wicket-keeper-batsmen Dinesh Karthik and Rishabh Pant will have an acid test. After losing their maiden Test and ODI series to India at home, Australia are set for a reciprocating tour of India starting February 24. The Kangaroos will play two T20Is and five ODIs during their visit and have already announced their squads for the respective variants. Aaron Finch is in charge of both the squads. India are yet to announce names of their squad for the last major series before the ICC World Cup starting in May. The BCCI is likely to rest some senior batsmen and bowlers after they served the team during a gruelling tour Down Under since November. Indian captain Virat Kohli went into a break midway during the ODI series in New Zealand and skipped the T20I series as well. 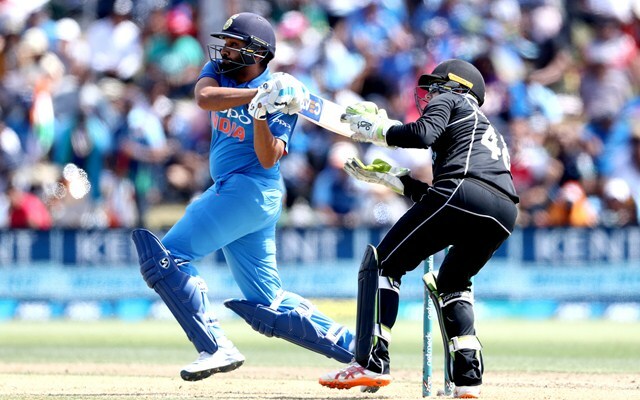 While he is expected to make a return sometime in the series against the Aussies, limited-overs vice-captain Rohit Sharma could be sent to a break in the upcoming series. Among the names who could be seen making a comeback into the limited-overs side is Ajinkya Rahane, India’s Test vice-captain who hasn’t played in the ODIs since February 2018, according to a report in The Hindu. KL Rahul could be another player making a comeback after his stint with a far-reaching controversy on a television show. The other cricketer who also found himself in the same controversy – Hardik Pandya – has already made a return to the national side. Two wicket-keeper-batsmen Dinesh Karthik and Rishabh Pant will have an acid test in the Australia series since both are in the race for a berth in India’s squad for the World Cup. While Karthik has made a name as a finisher in the recent times (he though failed to take India home in the final T20I against New Zealand and also came under criticism for not taking a single at a crucial time), Pant has come up fast through the ranks as well for his batting skills. With MS Dhoni’s place in the squad, being almost a certainty, the contest now is more between Karthik and Pant. India’s spin spearheads in the limited-overs – Kuldeep Yadav and Yuzvendra Chahal could also get partial rests, especially ahead of two major assignments in the Indian Premier League and the World Cup. Chahal though played comparatively less international cricket than Yadav of late, starting from the third ODI against Australia in which he took a six-fer. Among other players who could make a return in the Australia series are Jasprit Bumrah. After a sensational Test series Down Under in which he claimed 21 scalps to be the joint-highest wicket-taker with Australian spinner Nathan Lyon, the young pacer was rested for the Australia ODIs and also the twin series in New Zealand. Bhuvneshwar Kumar, who shouldered a lot of responsibility in the New Zealand tour and Mohammed Shami, who has been playing continuously for some time, could be rested.